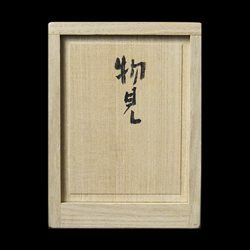 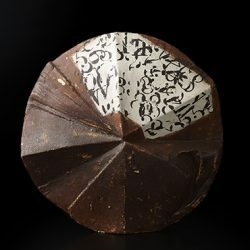 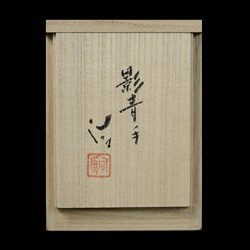 Osamu Suzuki was often inspired by the world of nature and created animal motifs such as horses and birds. 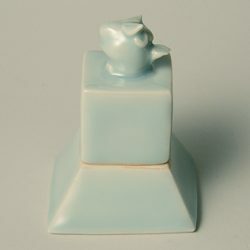 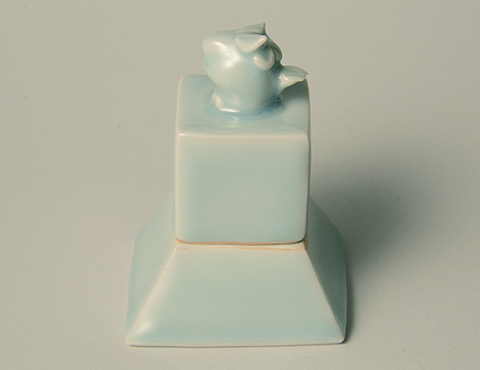 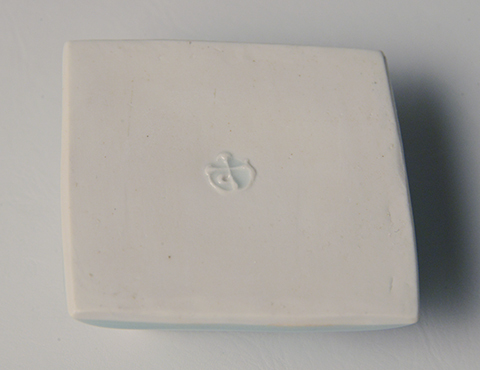 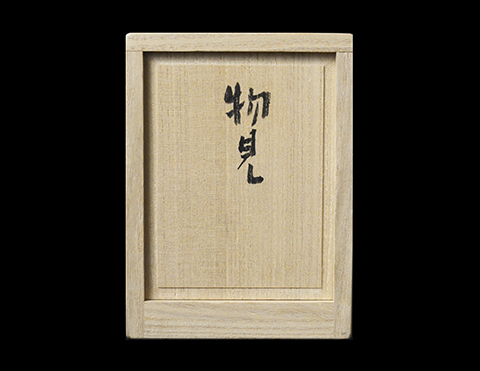 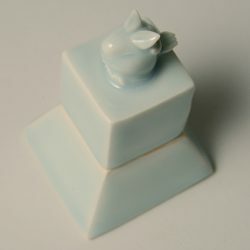 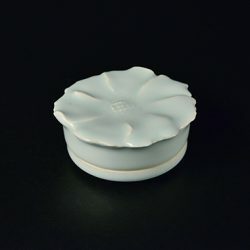 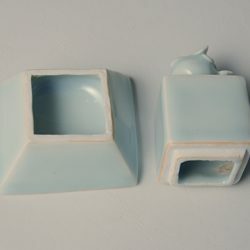 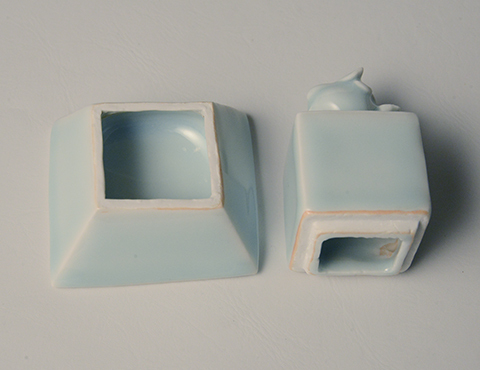 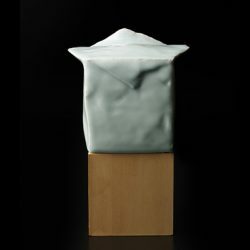 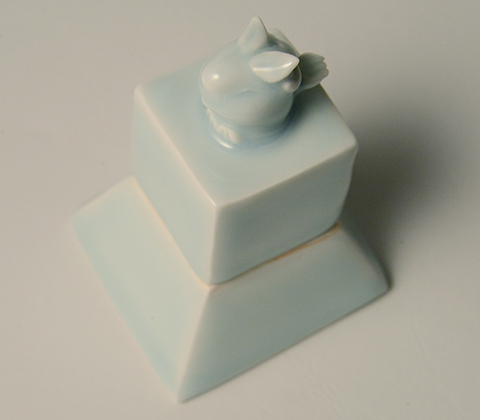 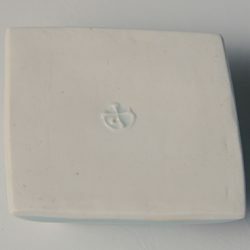 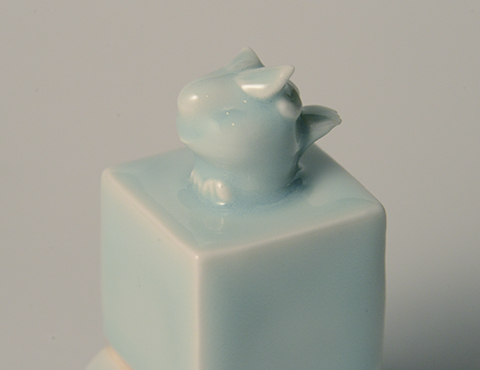 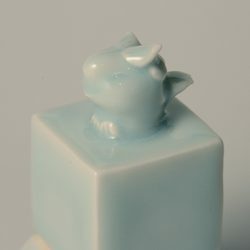 This animal may be a squirrel or not, and it has an adorable figure on the celadon lid. 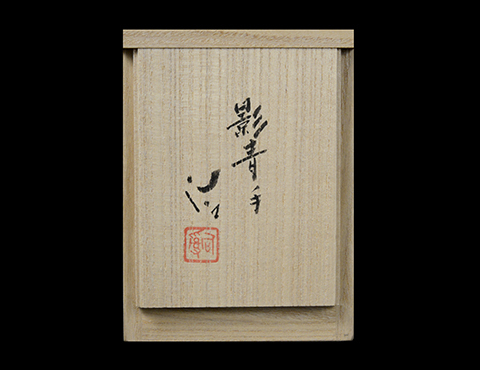 It looks like watching out from the tower, as in the title on the wooden box. 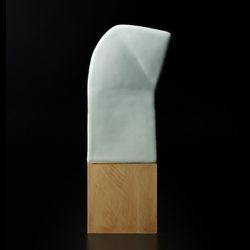 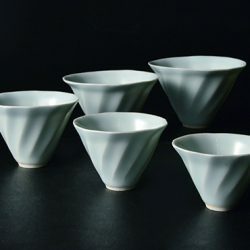 The pale bluish glaze on the smooth skin of the porcelain has subtle intensity of dark and light, as well as the refreshing clear mood.